As a long-term member of the Springvale Rise Primary School Council, Richard Lim attended the school's end of year assembly and awards presentation event to present awards to students. Pictured (left to right): Mrs Dyna Holl (Member of the School Council), Miss Vanessa Soeur (Student), Mrs Debbie Cottier (Principal of Springvale Rise Primary School) and Mr Richard Lim OAM JP (Owner of Lim's Pharmacy). Richard Lim was invited to attend the 25th anniversary of FRED IT, Australia's largest pharmacy IT solutions provider. Special thanks to Allan Crosthwaite (Director of the Pharmacy Guild of Victoria) and Anthony Tassone (President of the Pharmacy Guild of Victoria) for the invitation. Construction of the NGO Nokor Tep Women's Hospital in Phnom Penh, Cambodia is now well under way thanks to the help and support of all those who donated to the Nokor Tep Foundation! 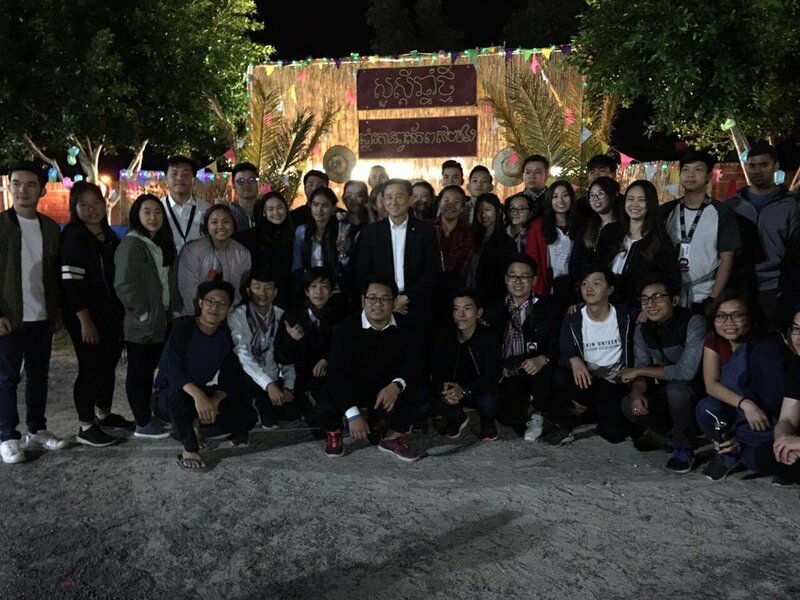 Richard Lim took time to visit the site while on the 2017 Cambodia Vision Mission. 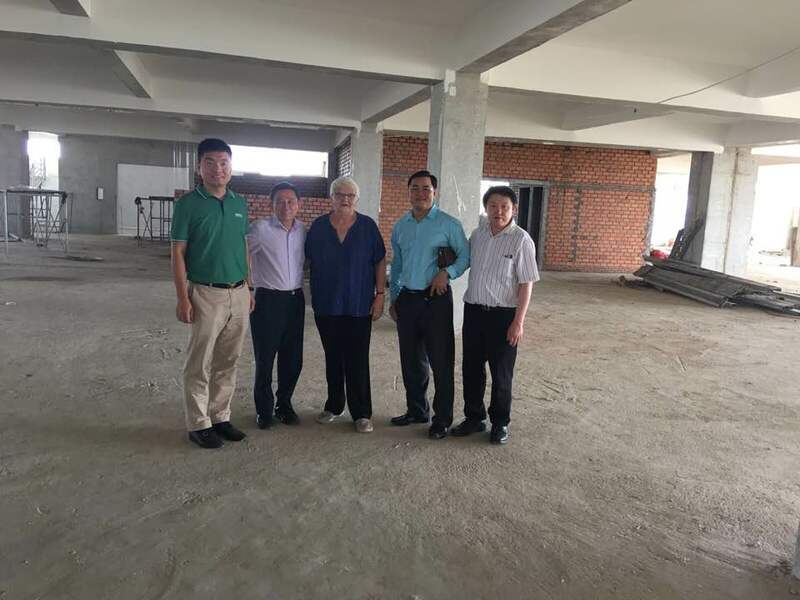 Pictured (left to right): Mr Piseth Sok, Mr Richard Lim OAM JP (Owner of Lim's Pharmacy), Ms Jane Ritskes (Founder of the Nokor Tep Foundation), Dr Hor Chhoeu, Mr Ken Lim (Electronic Engineer). 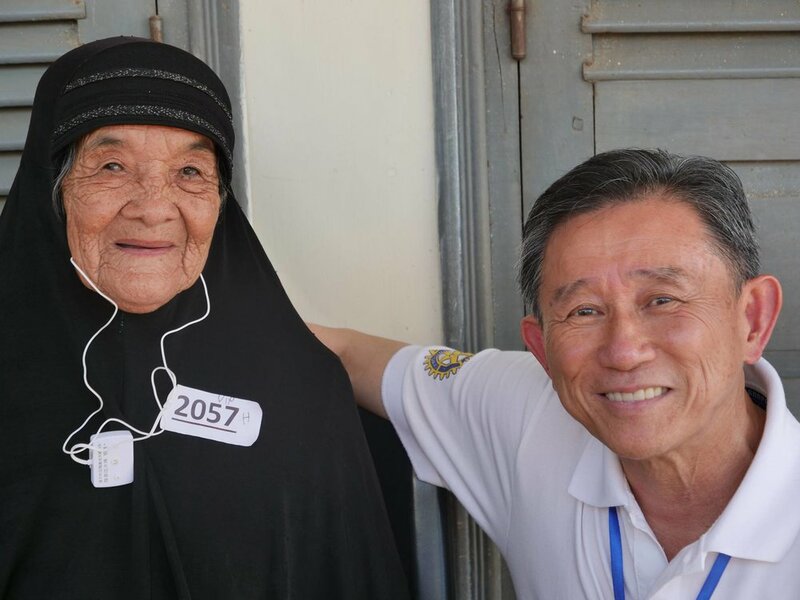 As president of Cambodia Vision Victoria, Richard Lim joined the Cambodia Vision 2017 crew and worked in the front line of service in Pursat, Cambodia, helping give the gift of sight to thousands of Cambodians by dispensing medication, assisting in eye treatment, and offering health advice and support. Happy birthday to VASA, celebrating their 26th year anniversary. Lim's pharmacy is honored to join you in this celebration. We have enjoyed the health seminars that we have held at VASA and we look forward to many more activities, seminars and health check-ups in the new year. Congratulations to SICMAA for their 35 years young birthday! What a wonderful support you have been to the Vietnamese community over the past 35 years. Lim's pharmacy is proud to be a partner with SICMAA in raising awareness on health issues to our communities! 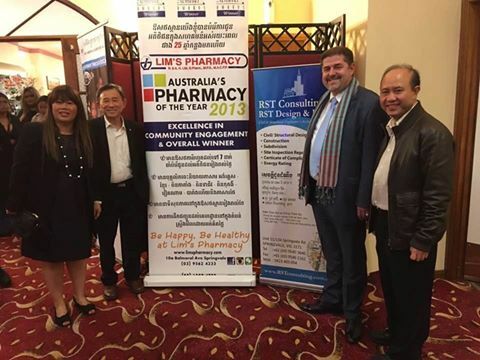 Lim's Pharmacy is considered one of the most outstanding businesses in the City of Greater Dandenong. As a result of this, Lim's Pharmacy owner Richard Lim OAM JP was featured at the City of Greater Dandenong's Journey to Success Exhibition, an event which showcased the community's leaders in business! Richard presented a speech on Lim's Pharmacy and the importance of community engagement in order to achieve a thriving business, and received a certificate of appreciation from Mayor Cr Jim Memeti! Richard Lim OAM JP met with the Monash Children's Hospital Team and directors from the National Paediatric Hospital in Phnom Penh to discuss ways to raise money for the Monash Children's Hospital, and to train specialist doctors from Cambodia. Pictured (left to right): Dr Moniboth Duch, Mr Richard Lim OAM JP, Dr Angkeabos Nhep, Dr Want, Mr Ken Lim, Dr Natalie Webb, Prof. Nick Freezer and Dr Phil Bergman. The documentary "The Missing Picture" by acclaimed filmaker Rithy Panh was recently screened at the Melbourne Festival's event "A Requiem for Cambodia: Bangsokol" at ACMI Federation Square. Owner of Lim's Pharmacy, Richard Lim OAM JP, was honoured to be a member of the panel at the screening of the film! During the event, Richard answered questions about Cambodia and the film and shared his shocking recounts of life during the Khmer Rouge regime. Owners of Lim's Pharmacy, Richard and Ann Lim, attended and sponsored the Children of Cambodia Foundation Fundraiser, a charity dedicated to supporting over 3300 children, 10 schools, and 10 villages in rural Cambodia for the past 8 years! Richard Suor Lim OAM JP was invited as a guest speaker at the event, and also donated $1500 to the organisation. Lim's Pharmacy presented and sponsored the Springvale Chinese Mandarin Network's Tai Chi Health Expo! Along with running a stall to showcase products and provide health advice, Lim's Pharmacy donated $1000 to the organisation! 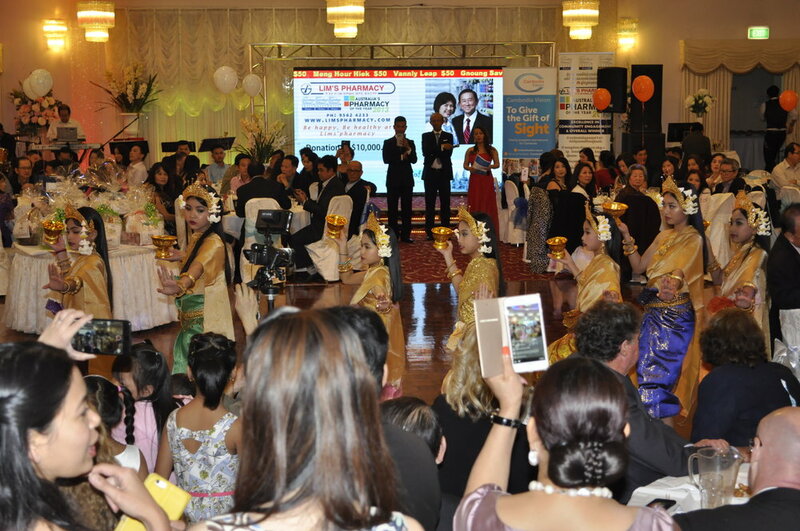 Our annual Cambodia Vision Charity Night was once again a huge success, raising over $90,000! We would like to extend our utmost gratitude to everyone who attended, and to all the generous donors, volunteers, and organisers for making the whole event possible! Richard and Ann Lim were invited by Avene to visit the Avene Laboratories and Pierre Fabre Group in France! Along with other representatives from Australia, Richard and Ann were given an exclusive tour of the Avene Labs and the surrounding beauty of France. The Lim's Pharmacy owners were also given the opportunity to meet many of Avene and Pierre Fabre Group's executives! Pictured: Richard and Ann Lim (Owners of Lim's Pharmacy) with other Australian representatives and executives from Avene and the Pierre Fabre Group in Cauquillous, France. 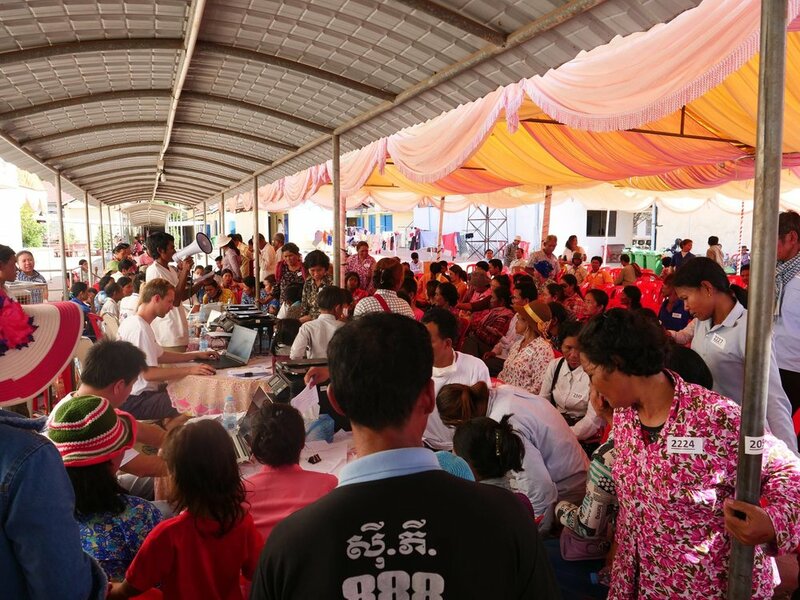 Richard Lim attended a temple to raise awareness of the Monash Health Foundation to the Cambodian community! Within minutes, we raised over $3,000 for the Monash Health Foundation! We would like to extend our immense gratitude to our benevolent members of the community! The Monash Health Foundation, directed by Debbie Shiel, is a non-profit organisation to support improved research capabilities, additional medical equipment, staff training and patient support programs. Funds raised go towards assisting 6 different hospitals; Monash Medical Centre, Monash Children's Hospital, Moorabbin Hospital, Kingston Centre, and Casey Hospital! Pictured (left to right): Hoeur Hong (Photographer at SK Media), Debbie Shiel (Director of the Monash Health Foundation), Richard Lim OAM JP (Owner of Lim's Pharmacy), Heng Ty. 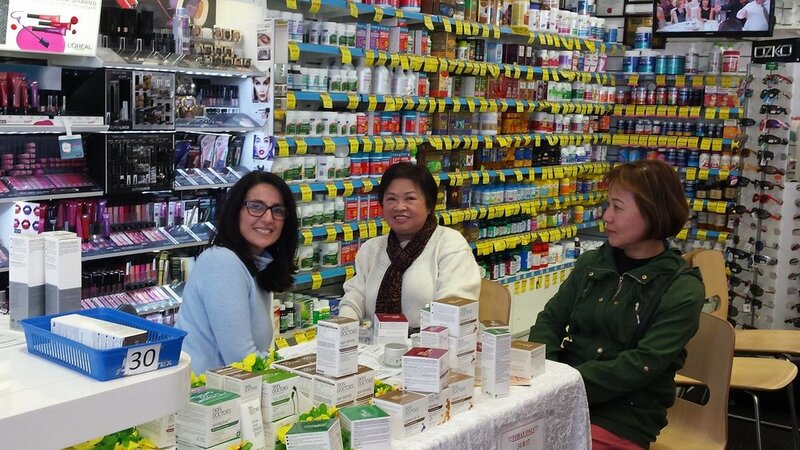 Pharmacist Linda Nguyen hosted a health seminar in Vietnamese on how to enhance the immune system in the elderly! The in-store seminar provided helpful tips and health advice on how to improve the immune system in our senior patients! Richard and Ann Lim and the team from Lim's Pharmacy attended the Guild Charity Gala Dinner for the Mirabel Foundation! Mr Richard Suor Lim attended Wat Buddharangsi to announce the upcoming Cambodia Vision Charity Dinner on 29/9/2017! We raised $1000 in a matter of minutes for the Cambodia Vision Charity! Thank you for your generosity! Pictured (left to right): Mr Than Thong, Mr Richard Suor Lim OAM JP, Sam OI, Dr Thel Thong, Mr Heng Ty. Once again, we held our highly popular Skin Doctors' Skin Analysis in-store! Skin care professionals from Skin Doctors gave our customers free facials and advice on how to keep their skin looking clean and fresh! Stay tuned on our Facebook page and website for more events like this to come! We hosted our highly popular Feet Check by Neat Feet today! The foot-care professionals from Neat Feet examined people's feet and gave them advice on proper care and factors that can bring on foot problems. This year, ROBE (Riverina Oils & Bio Energy) will be a major sponsor for Cambodia Vision! ROBE is an Australian company which produces high quality vegetable oil and protein meal using their state-of-the-art refining plant! We at Lim's Pharmacy would like to thank ROBE for their kindness and generosity! Pictured: Thida Yang (Public Relations Officer for Cambodia Vision), Richard Suor Lim OAM JP (Owner of Lim's Pharmacy and President of Cambodia Vision Victoria), Dhruv Deepak Saxena (Managing Director of ROBE). Dr Chyrisse Heine paid a visit to Lim's Pharmacy to discuss the upcoming mission to Cambodia with Richard Lim for Cambodia Vision! Dr Heine will be a member of the Cambodia Vision team this year and we at Lim's would like to thank her so much for her kindness and support! Congratulations to the 3 winners of our recent Consis colouring and naming competition! We are honoured to name the biggest robot in Australia, 'Spencer'. Amazing and creative work from all the students at Springvale Rise Primary School ( Springvale Campus & Springvale Heights Campus). Special thank you to Mrs Cottier (Principal) & John Koot (Managing director of Willach - the company that makes Consis dispensing robots). After his successful talk at Korowa Anglican Girls' School, Lim's Pharmacy owner Richard Lim OAM JP was humbled to receive a donation of $300 from the school for any charity that he desired. He chose to give the donation to Cambodia Vision Inc., as he is president of Cambodia Vision's Victoria branch. From left to right: Marianne Hale (Head of Religion and Social Services at Korowa Anglican Girls' School), Richard Lim OAM JP (Owner of Lim's Pharmacy). Lim's Pharmacy owner Richard Lim received awards from the Chinese Multicultural and Sport Association of Victoria and the Springvale Mandarin Association for his long-time outstanding support. Mr Lim was unable make it to Parliament House to receive the award, so the leaders of these associations presented the awards at Lim's Pharmacy. Lim's Pharmacy owner Richard Lim OAM JP was proud to be invited to give a presentation at Korowa Anglican Girls' School on his life journey, challenges, achievements and contributions to charity. This was presented in front of 82 students, as part of the school's upcoming charity trip to Cambodia. Korowa Anglican Girls' School are associated with a school in remote Cambodia, with the aim of providing a curriculum similar to Australian schools. Lim's Pharmacy owner Richard Lim received an award for his outstanding contribution as President of Camboda Vision Inc Victoria branch. 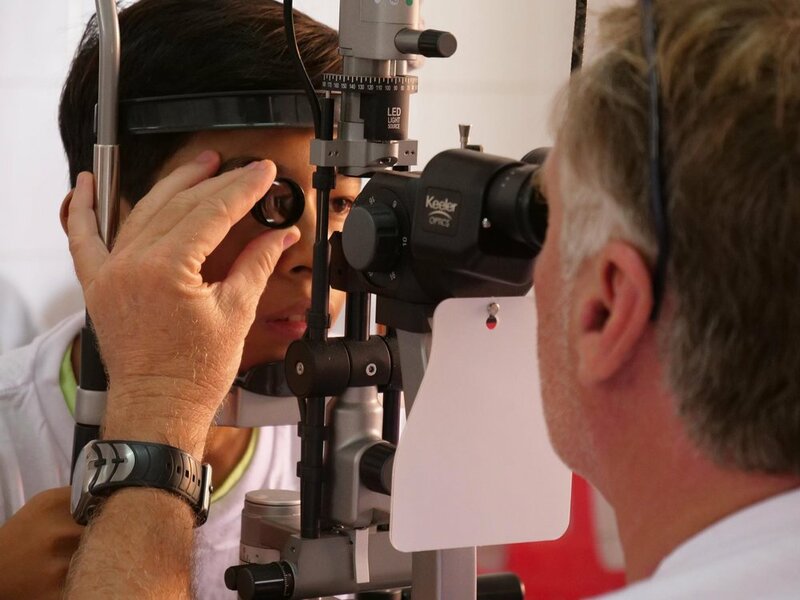 We would like to thank everyone involved with Cambodia Vision and thank our generous donors and volunteers for their ongoing support. Lim's Pharmacy owner Richard Lim and Pharmacy Assistant Ken were proud to attend the Children of Cambodia charity trivia night. Some of the trivia night prizes were also provided by Lim's Pharmacy. All funds raised goes towards around 3000 primary school children in Cambodia to ensure to ensure they can go to school. 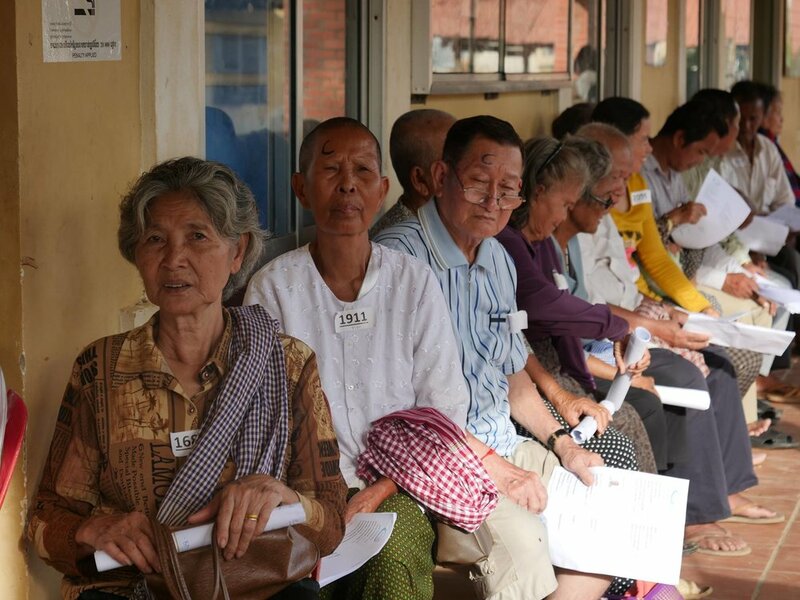 The Nokor Tep Foundation is a non-profit organisation which strives to deliver health care to women of Cambodia. 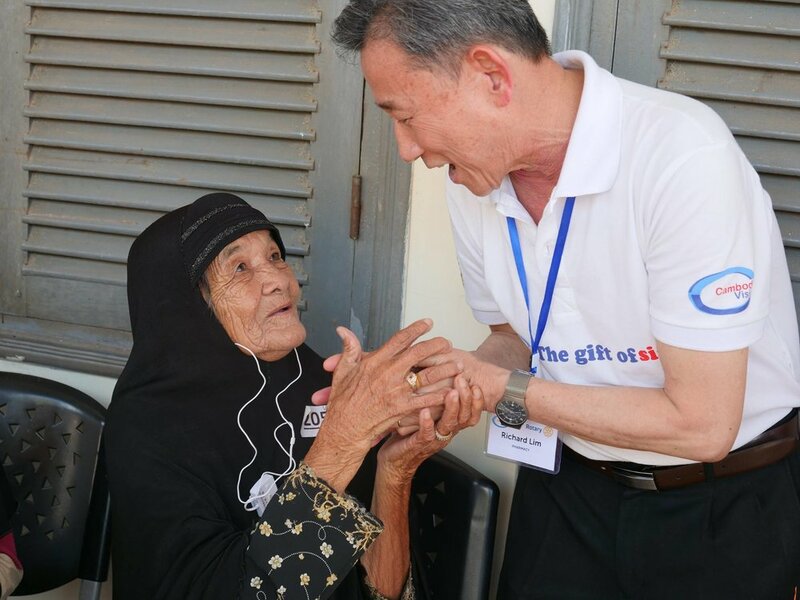 Lim's Pharmacy and owner Richard Lim is proud to support one of their newest and largest project, the Nokor Tep Women's Hospital, which will provide women with modern gynaecological and oncological care currently not available in Cambodia! Pictured (left to right): Richard Lim OAM JP (Owner of Lim's Pharmacy), Janne Ritskes (Founder of Nokor Tep Foundation), Cathy Emmerson (Nokor Tep Foundation), Nhar Leng (President of Wat Khmer Melbourne). As a long-time supporter and major sponsor of the organisation, Richard Lim attended a fundraiser night for the SCCFA (Save Cambodian Children Fund Australia), an organisation which seeks to help the less fortunate of rural Cambodia gain an education and have access to necessities. Pictured (left to right): Sineth (RST Consultant), Richard Lim OAM JP (Owner of Lim's Pharmacy), Jim Memeti (Mayor of the City of Greater Dandenong), Ratana Sar (RST Consultant). Lim's Pharmacy owners Richard and Anh Lim, pharmacist Linda and pharmacy assistant Kheang were proud to attend Andrew and Jan Troedel's Fifth Annual Bonfire last night. All money raised went towards the Nokor Tep Foundation Australia, which supports the building of the Nokor Tep Women's Hospital in Cambodia. Lim's Pharmacy implemented weekly FREE Avene Skin Testing every Saturday, and it was a huge hit from day one! A professional staff member from Avene conducted complimentary skin analysis' for all our customers! 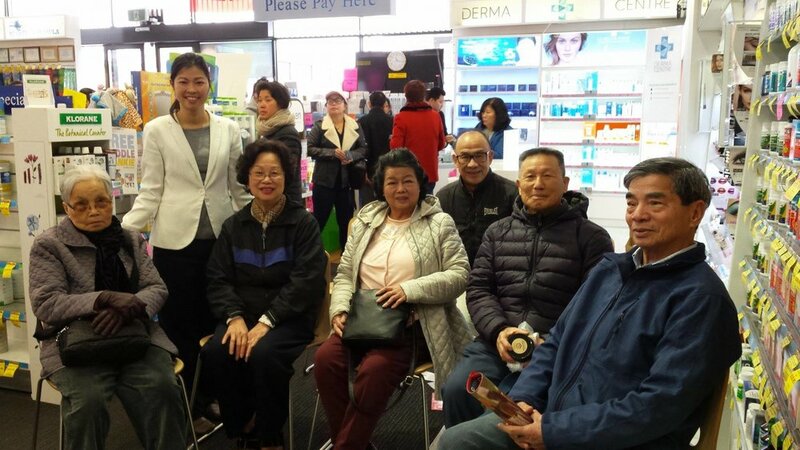 Every Thursday of May, Lim's Pharmacy conducted FREE Diabtes and Blood Glucose Screeenings as part of the Pharmacy Diabetes Trial Program, thanks to Deakin University, University of Sydney, and The Pharmacy Guild of Australia. Pictured is our intern Joanne conducting Blood Glucose Checks with Lim's staff member Thea. Lim's Pharmacy's much adored Kheang will be sent on an exciting trip to Paris, France after winning an Australia-wide competition held by popular skincare brand Avene for pharmacies across Australia! Congratulations Kheang for this amazing opportunity! Mr Richard Lim OAM JP attended the State Budget breakfast with the Premier of Victoria and his cabinet at Park Hyatt Hotel in Melbourne! Pictured is Richard Suor Lim OAM JP (Owner of Lim's Pharmacy) with Mr Allan Crosthwaite (Director of the Pharmacy Guild of Australia - Victoria Branch), Hon. Jill Hennessy (Health Minister), and a group of representatives from the Pharmacy Guild of Australia. Khmer New Year is now over but it was well celebrated! Richard Lim attended the festivities sponsored by Lim's Pharmacy at Wat Khmer on Springvale Road to welcome a year of health and fortune! Lim's Pharmacy owners Richard and Anh Lim had dinner with eye specialist Dr David Worsnop and his wife, skin cancer specialist Dr Julianna Worsnop, to discuss supporting charity organisation Australian Health and Human Aid (AHHA). Lim's Pharmacy owners Richard and Anh Lim were proud to attend the VIP Cocktail Night for the donors of the new Monash Children's Hospital, which includes an exclusive pre-opening tour of the hospital! Richard Lim and Lim's Pharmacy were proud to sponsor a charity fundraiser hosted by IKARE! IKARE is an organisation which helps the less fortunate children of Cambodia in areas such as education. Pictured (left to right): Pam and Geoff Shanks (Directors of Children of Cambodia Foundation), Patrick Arthur (Member of Cambodian Kids Can), Richard Suor Lim OAM JP (Owner of Lim's Pharmacy), Seda Douglas (Chair Person of SCCFA), Sopharany Hay (SBS Khmer Presenter). March 20th marked the unveiling of our brand new Consis Dispensing Robot! The largest Consis robot in Australia is found only in Lim's Pharmacy and it is now running and ready to serve! Pictured: Cr Jim Memeti (Mayor of City of Greater Dandenong), Cr Roz Blades and Cr Youhorn Chea joined Richard Lim and the staff of Lim's Pharmacy to celebrate the unveiling of our new Consis! Photo courtesy of SK Media. Lim's Pharmacy was extremely proud to sponsor the Clean Up Australia Day event on 5th March! Richard Lim participated in the event in which the community spent the day clearing Springvale of litter. A job well done to all the participants! Richard Lim was proud to attend the Chinese New Year Celebration of the Teochew Association of Victoria! With school back, kids are more prone to getting hair lice. So, we at Lim's Pharmacy conducted a head lice check, in which we showed customers how to check, treat, and prevent hair lice! Cr Jim Memeti (Mayor of the City of Greater Dandenong) met with Richard Lim (Lim's Pharmacy owner) and Linda (Manager/Pharmacist at Lim's Pharmacy), to discuss the parking issue in Springvale and possible resolutions. Lim's Pharmacy was proud to be a major sponsor for the 2017 Springvale Lunar New Year Festival. Richard Lim attended the event as an honorary advisor of the Springvale Asian Business Association, and donated $4000 to SABA.